Isn't she a beauty? You all know I love vintage finds and this one was quite the score. That I'm able to use it every time I work on a project just makes me all the more happy. My typewriter is an Olivetti Underwood Studio 44 manufactured in 1965. There's a great review about this model at this link. Part of the review says this:"At first glance, you notice the size. For a portable typewriter, it’s rather large. But once you get it on the desk, the sleek lines make it appear more accessible. Olivetti’s are known for their great curves and design. The Studio 44 is no exception. Even the name “studio” suggests an artist at work. This is not your standard office typewriter, but it has the solid mechanicals required for doing work, lots of work." 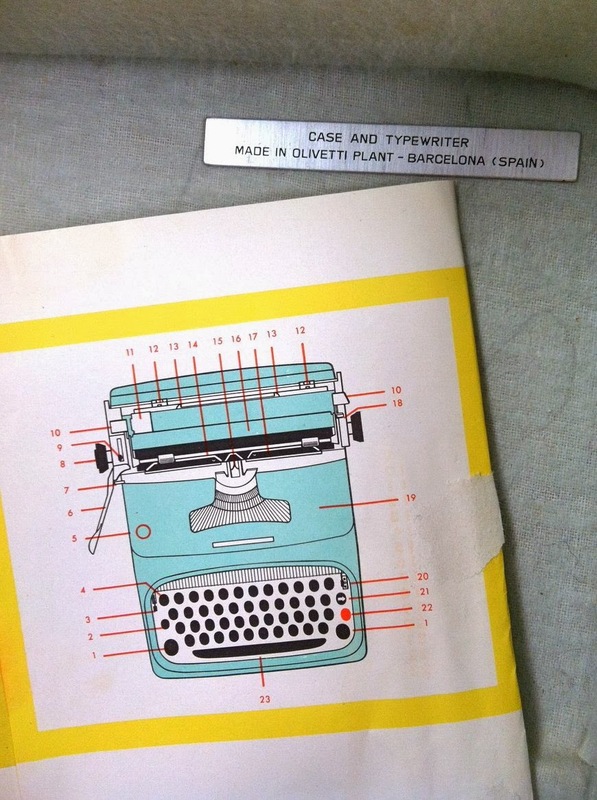 Hispano Olivetti Plant in Barcelona, Spain. Here's another fun article from an Olivetti collector, with a fun photo of the typewriters in a showroom in Italy. The article says, "Designed by Italian architect Marcello Nizzoli in collaboration with engineer Guiseppe Beccio, the Studio 44's special feel, a perfectly calibrated "resistance" that marks the typing action; not to mention a stability that's close to what you'd get from a standard, are qualities that are pretty hard to beat. And as an exemplar of Nizzoli's architectural/sculptural stylistic signature, the Studio 44 is a remarkable mod design statement." I took the photo below of the inside of my typewriter case. Mine came with the original manual and it's so graphically detailed. You can tell that an architect designed it. This is a hard one because you never know where a typewriter might pop up. You might find one at a garage sale for $10 bucks. A friend called me from a Good Will store and after I said, "Yes I want it! ", she paid under $15 bucks for mine, in mint condition. I see them on Etsy and Ebay starting at $100 or more. My best advice is to scour the thrift shops often and check online sites every week if you are in the market. Be sure to inquire or test the keys. I would insist that every key work and not stick if you're looking to use the typewriter for actual typing. Or make sure that the imperfections can be fixed for a reasonable price by someone who works on them. Before I knew that vintage typewriter ribbons could be purchased online, I took my ribbon spools to a local office supply store. When I got them home, the new ribbon spools didn't fit. So I unwound the old ribbon and wound the new ribbon onto the old spools. A few inky fingers but it worked. I've used that spool for about 2 years now and am finding I need a replacement. A quick google search with the make and model of your typewriter will hook you up with lots of results. I've seen the ribbon I need for less than $10 bucks. Now for the fun stuff. I use my vintage typewriter to do a lot of my journaling for my Project Life. Here's some of the products I use, below. 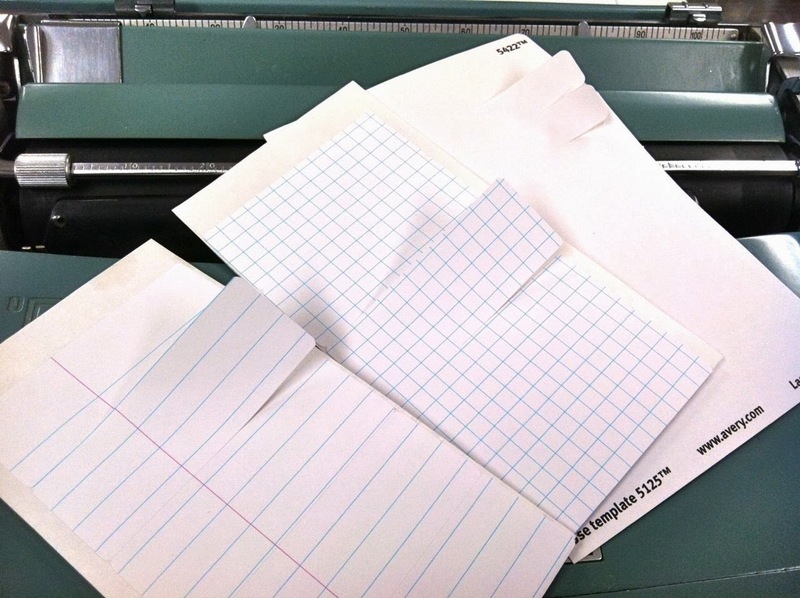 Grid Paper Labels and Notebook Paper Labels are my most used items because they fit easily into my typewriter and are sticky on the back. 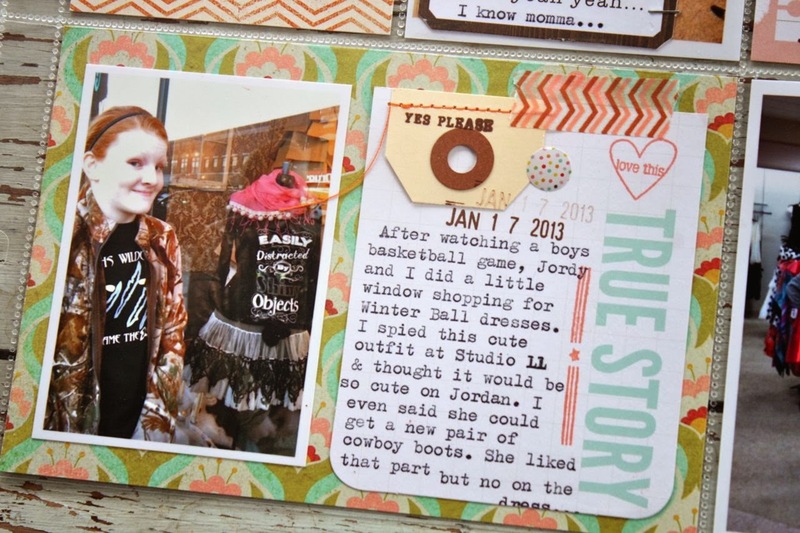 I type my journaling then stick them onto my Project Life inserts or photos. I also carry Grid Paper US Map Labels, Notebook Paper Quote Bubble Labels, Grid Paper Arrow Labels, Starburst Grid Paper Labels and Notebook Paper Heart Labels. You can find them all in my shop. Tags are another staple item that I keep handy for my Project Life, cards and gift wrap. Some of my most used tags are the Medium Manila Parcel Tags and Small White Parcel Tags. I carry lots of sizes int the white and manila tags + I stock a Small Kraft Tag, Small and Medium Gray Parcel Tags and some speciality tag in smaller sizes. These are all available in my shop as well. 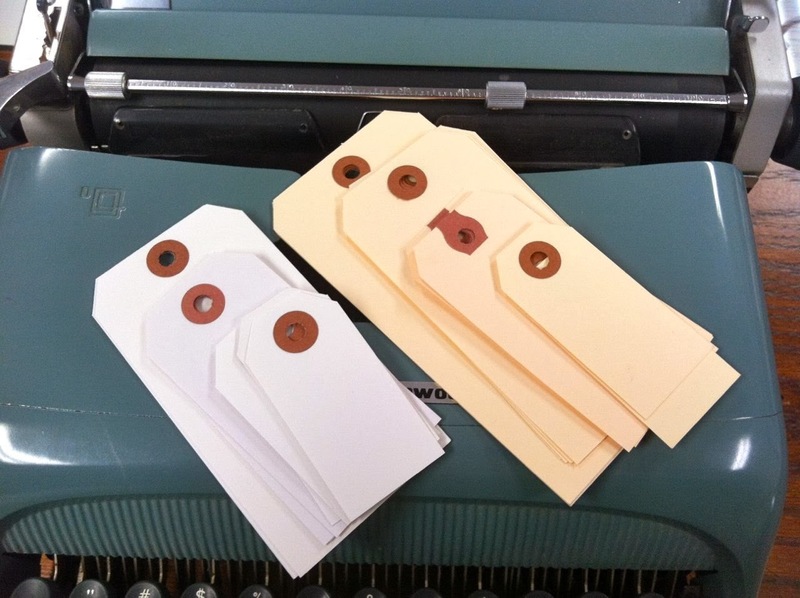 Of course I love to use all kinds of 3 x 4 and 4 x 6 journaling cards in my vintage typewriter. Because my handwriting is rather large and loopy, I like to use typewriter journaling because I can tell more of the story due to the smaller typewriter font. I think it looks clean with just a hint of vintage too. I have a whole stash of journaling cards from various companies. 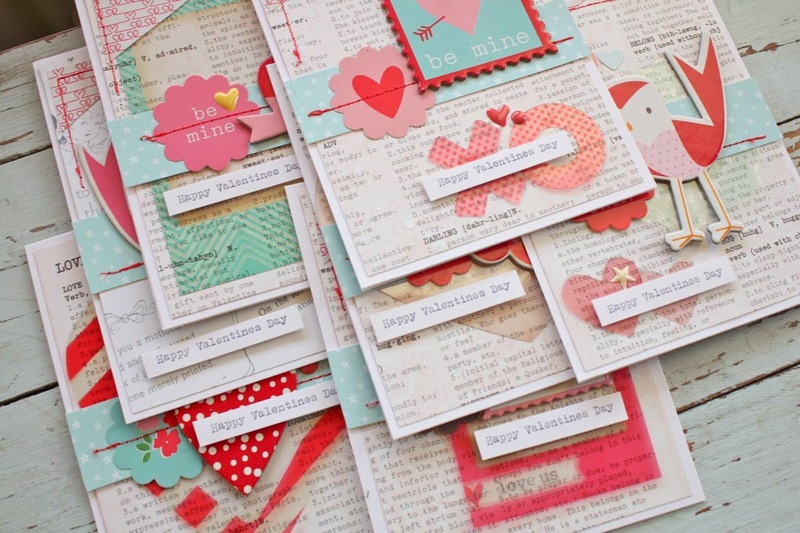 I design for Gossamer Blue and you can find some of their cards from various kits at this link. 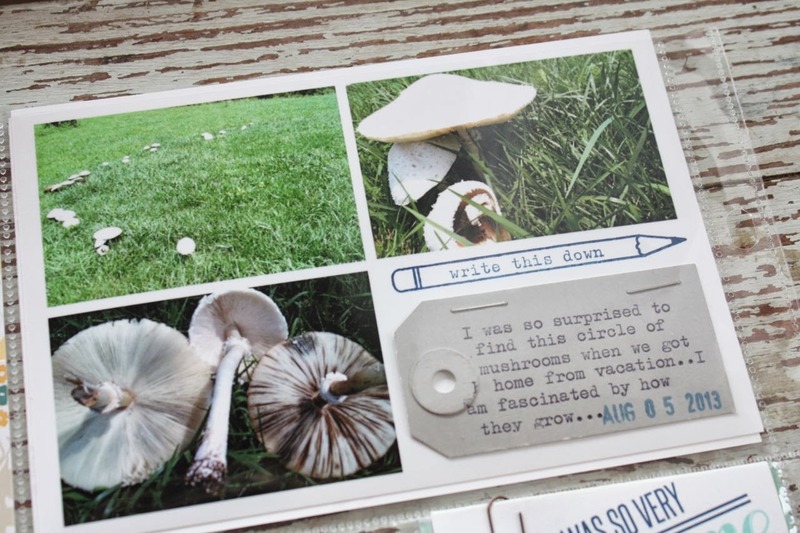 I recently helped with the concept design for Gossamer Blue's new Basics Journaling Cards. Neutral colors with fun lines, grids, dots, ledger patterns, etc. You definitely need these in your stash for Project Life. 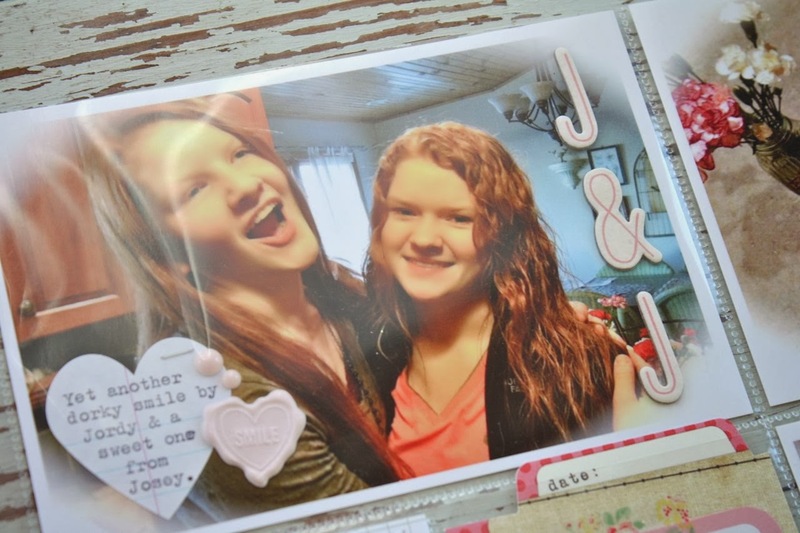 I also use them as a fun layer on greeting cards. 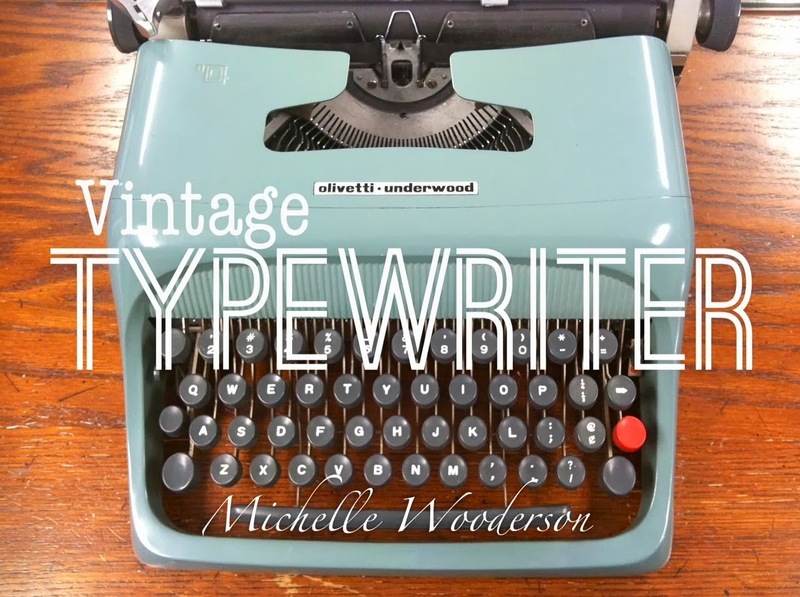 How about seeing some of the typewriter journaling in action? Here's a fun group of photos I compiled that show examples of my typewriter journaling + products I discussed. 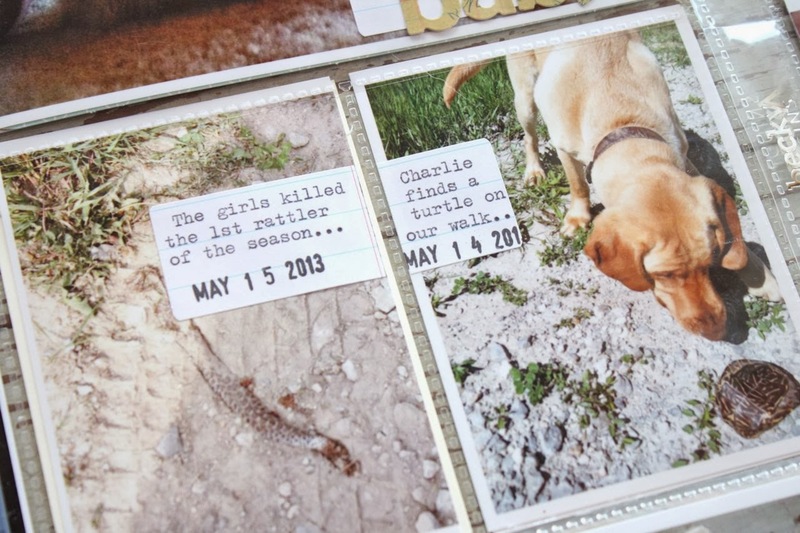 For those that love Instagram or square photos, the Grid Paper Labels fit perfectly below them. Here I placed a Notebook Paper Label with typewriter journaling + a date stamp directly onto my photo. Here I divided one label to use on two separate photos, in two separate photo slots. 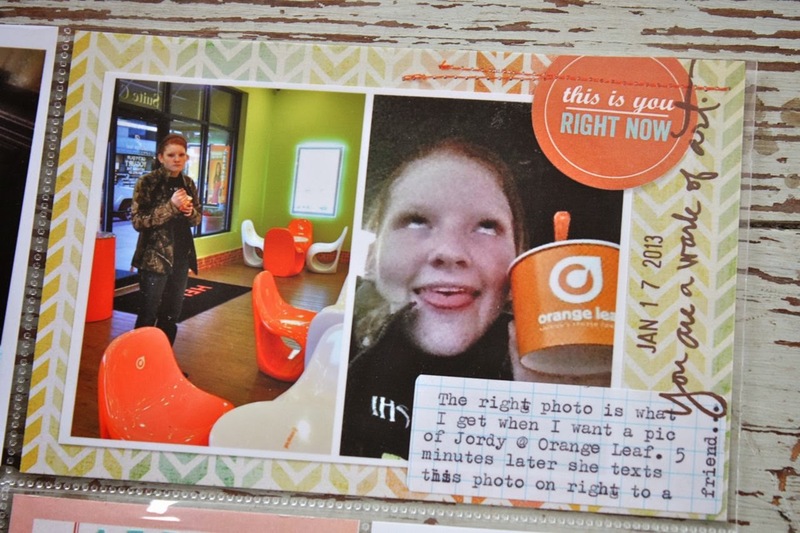 I used a Grid Paper Label over a photo with some stamping overlapping my journaling. Here's one of the fun shape labels I offer, the Grid Paper Arrow Label. If you leave some blank space when you take photos, the labels fit in perfectly. Perfect for a Valentine themed week, I used a Notebook Paper Heart Label layered with a sticker and enamel dots. On to the tags, I used a Medium Manila Parcel tag here with typed journaling + various stickers. 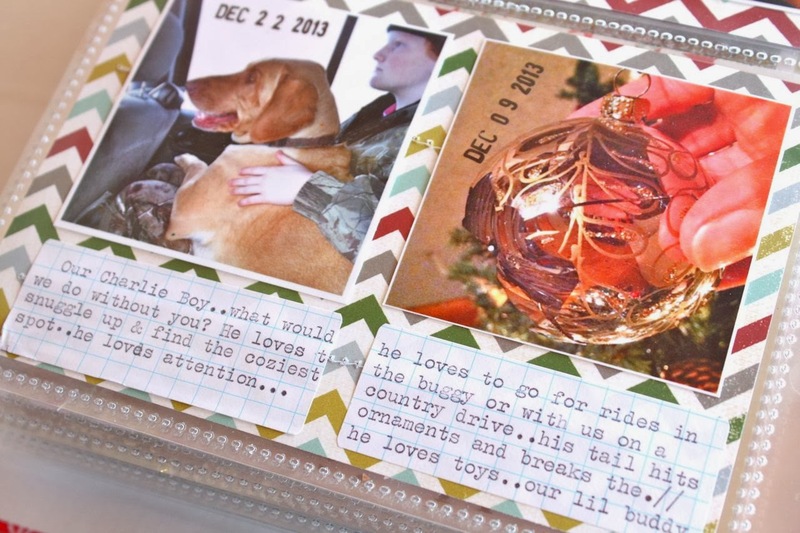 This was stitched on a 3 x 4 journaling card for my 2013 December Memories album. Here I used an XL Manila Parcel Tag to fit right into a 3 x 4 journaling slot. 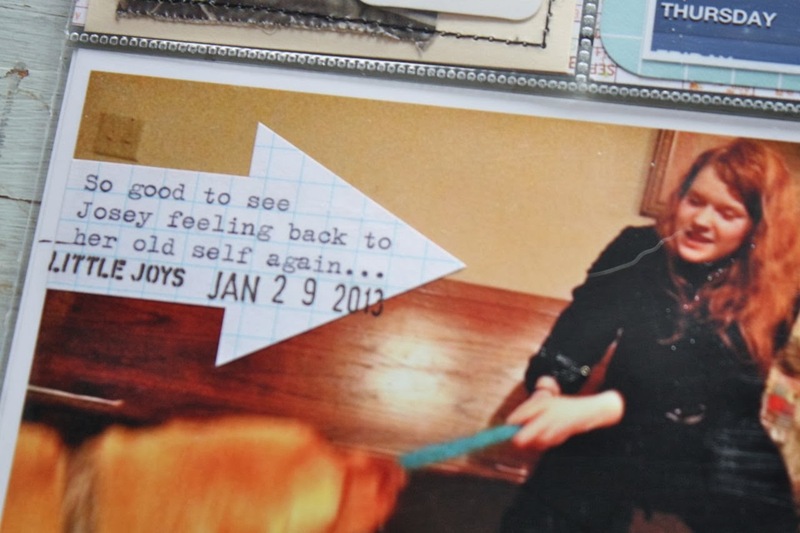 I just trimmed some length off the card, typed my journaling and added a square photo. 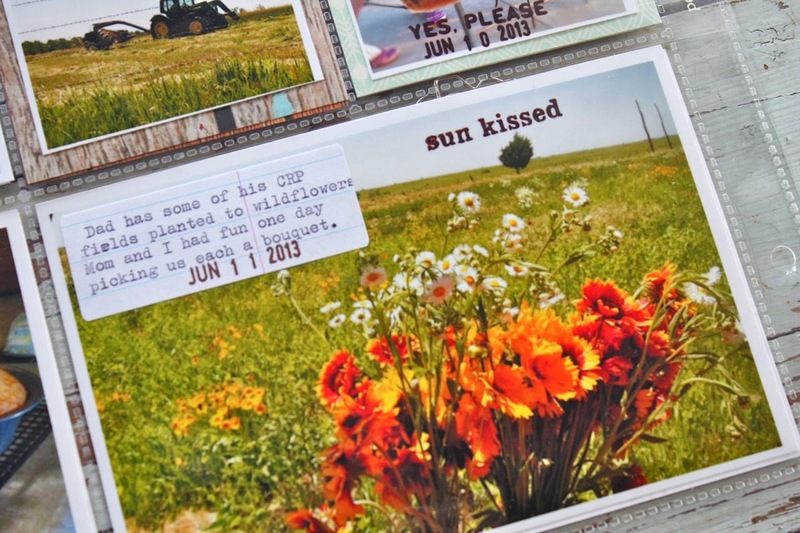 A Small Manila Parcel Tag was used on a photo with typed journaling, a date stamp + a piece of a sticker border stamp. Love this, gosh I need to revisit my past Project Life pages. I'm finding oodles of inspiration by just going through my albums. 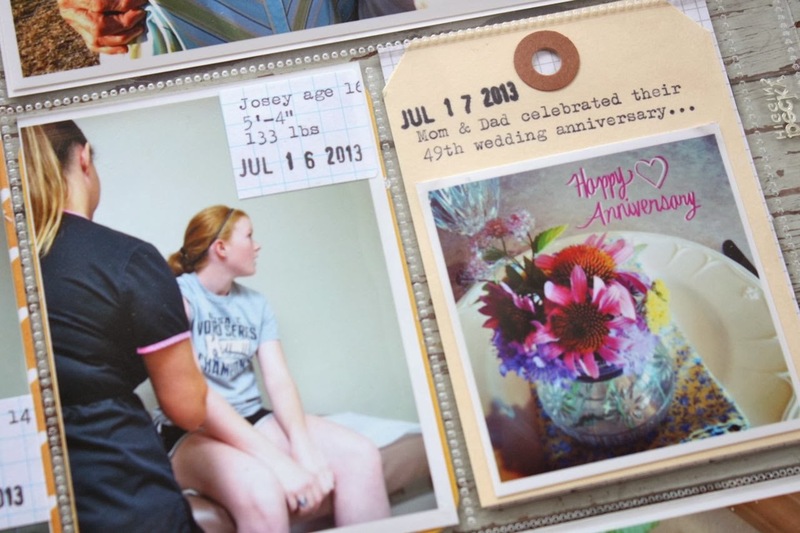 Here was something fun I did with a collage of three photos onto one 4 x 6 sheet of photo paper. I used the blank area to staple on a Small Gray Parcel Tag with typed journaling + a date stamp. 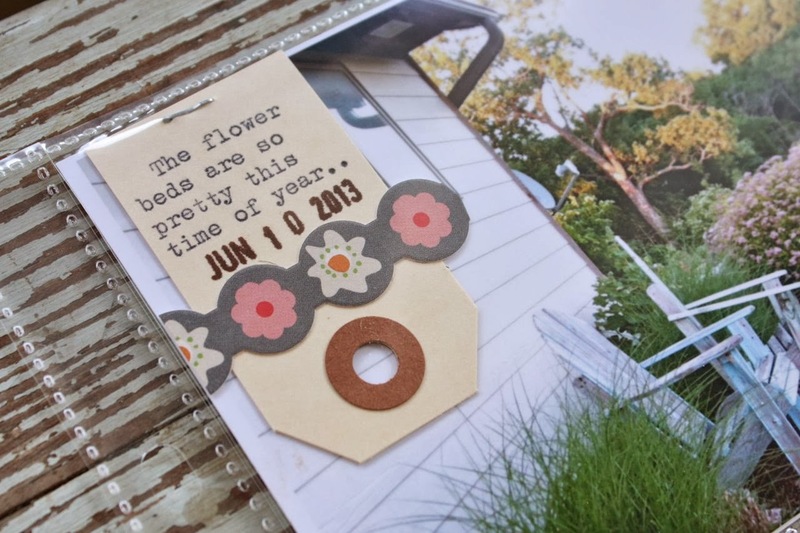 I love creating a main, dated 4 x 6 insert for my Project Life weeks. This was a creative one I did with the addition of a "week in review" tag, using a Medium Manila Parcel Tag. Need to do this again because I LOVE it. Let's not forget good ol' journaling cards of all kinds. I like ones with lots of blank space because I tend to write a small story of journaling instead of just the who, what, where when. You can see a little snippet of a Small Manila Parcel Tag stitched to the top too. You don't have to use the entire tag. Tuck them in behind photos, trim them down, cut in half..it's all good....and creative too. Here's a beautiful example of the vintage typewriter journaling. I love that you can slip a card into the typewriter and you can see right where you are typing. 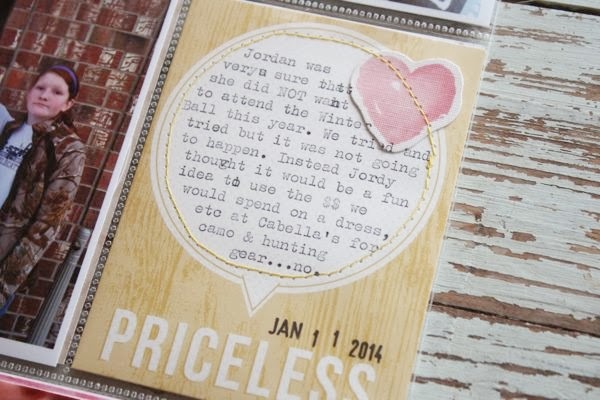 If I tried to do this on my computer and run it through my printer, it would be one hot mess....and a ruined journaling card most likely. You'll see the weekly spread that this card belongs to very soon on the blog. 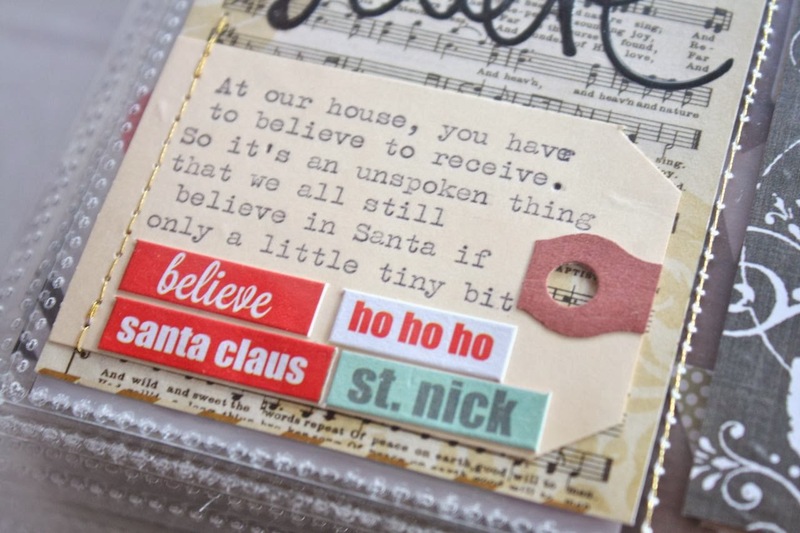 One more thing...I love to use my typewriter now for easy card and gift packaging sentiments. 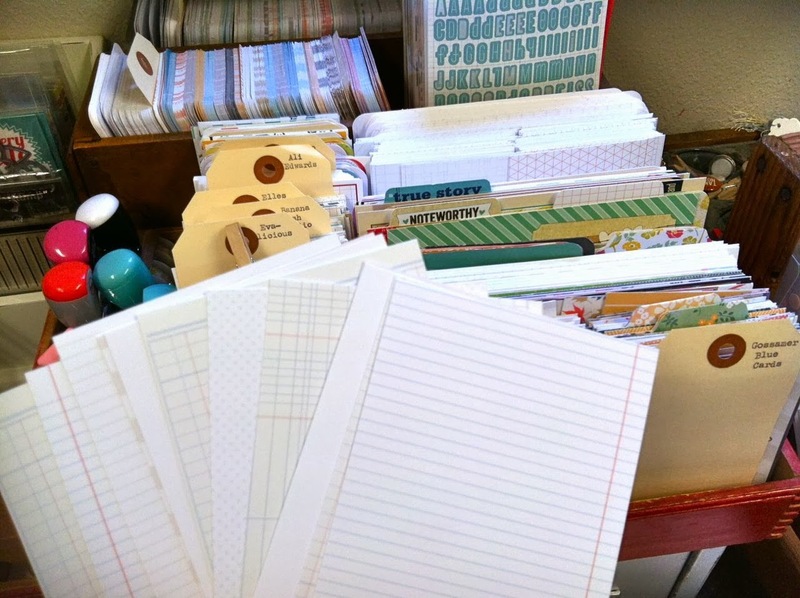 It's so easy to slip in scrap cardstock and just type away. Instead of just the plain "Happy Birthday" sentiment, I can totally get wild and crazy and type something like "Geez Dude, you're getting up there". People always love those kinds of cards. Below, I was tame and just typed "Happy Valentines Day". So that's what I know about vintage typewriters. I've had lots of emails and questions since I started using my vintage typewriter. Now's your time to ask questions...I'll update this post with questions and answers. Oh, I almost forgot about these...Mini Typewriter Instagrams with "clickety clack clack" sentiments on them. Fun for cards, packaging, etc. They were inspired by my daugher Josey. She heard me typing away one day and yelled downstairs, "clickety clack clack". She knows how much I enjoy typing away on my typewriter. I hope you enjoyed today's Workspace Wednesday. Feel free to link up your workspace in the comments or on Twitter using #workspacewednesday or #hfworkspacewednesday for Marcy Penner's tweets. Olivetti was certainly a very common sight in any Italian office before PCs came along, many memories! Oh, Michelle your typewriter is a thing of beauty! I have been wanting one for some time now. It's good to know that ribbon can be purchased online. I had been wondering about that. Would love one of those typewriters! Patiently waiting on the rest of your December Memories album... Just getting started back on mine since Christmas. THIS is what I have been waiting for!! I have been lusting for one ever since I saw the way you use your typewriter!!! Now to find one!! LOVE IT!!! TFS!!! I love it but I can´t use it as much as a I want because it doesn´t type very well...how do you type on labels??? 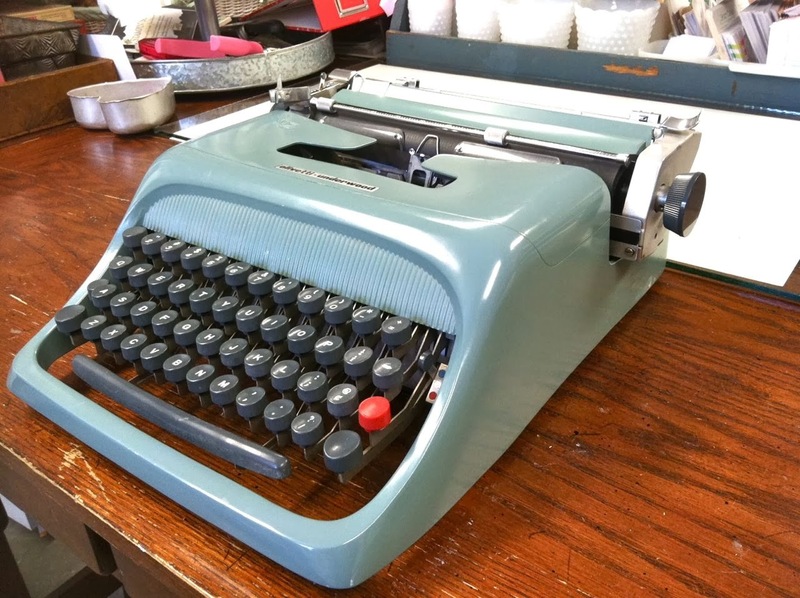 I've been wanting a typewriter but have been hesitant because of the issue of finding the ribbons for them. Is there some kind of source or way of making sure I'll be able to find them when needed? Love the typewriter, and I can see how it would make journaling easier than on the computer. I think I might have one in my basement! I also love how you do all your tags, especially the cut ones and the sewn ones! Your pages are so whimsical and cool! I bet they are effortless to you, but I spend hours trying to get a similar feel to my PL pages! You are an inspiration!